Karolina Rojas – PISTOLERA | Definitive Touch - Men's Contemporary Style. 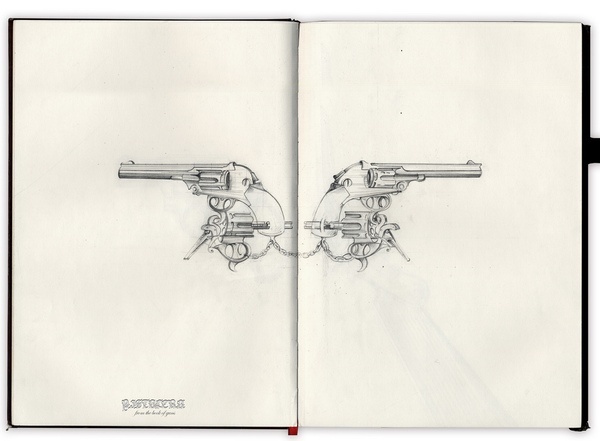 Brooklyn-based illustrator Karolina Rojas showcases super-refined sketches in the PISTOLERA series. We love when digital meets physical to allow for a tangible experience on your screen and texture of the book combined with the simple black and white drawings does just that. If you got shot-gunned in the face with this, would the remnants of your face be symmetrically scattered?